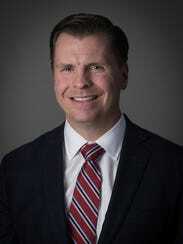 The following opinion editorial by RSI President Dan Liljenquist can be read in its entirely at the Detroit Free Press by clicking here. Michigan has been able to accomplish what many other state and local governments only dream of: meaningful pension reform. With recent passage of its teacher pension legislation, and Gov. Rick Snyder signing the measure into law, Michigan lawmakers have taken a critical step to ensure that Michigan will be able to meet its retirement commitments to both its current and retired teachers while creating an innovative plan for new teachers, one that is both fair and sustainable. In doing so, Michigan lawmakers have effectively capped teacher pension liabilities going forward, a move that will pay long-term dividends for the state’s residents. Pension debt is one of the top challenges impacting state and local governments, and more often than not, it is the education systems and teachers who are hurt the most. A quick look across the country in places like California and Chicago reveals that escalating pension costs have become the Pac-Man of school budgets, chewing through essential funding for teachers and classrooms. The Michigan Public School Employee Retirement System is $29 billion in debt and only 60% funded. That’s money that should be going toward classrooms, educational programs, student enrichment and qualified teachers. Fortunately, Michigan lawmakers seized the opportunity to reform the system...(to continue reading, click here).